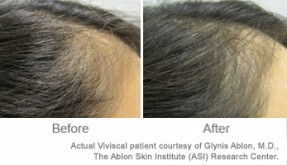 In this article, we’d like to help you decode some of the science behind hair follicle growth. 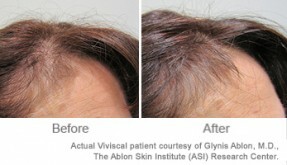 Many readers approach us who are struggling with hair breakage, or wishing that their hair would be a little healthier. 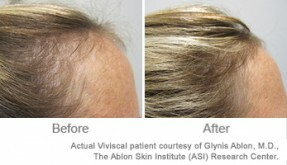 Many have specifically asked us to explain how hair follicles grow and what they can do for healthier hair. We want to extend some words of wisdom to those lovely folks with a few tips on how to enhance hair follicle growth. But, first thing’s first! What are hair follicles? Your hair follicles are part of what many would call the roots of your hair. They are tubular structures that extend down into the skin. They are made up of many layers, each serving different purposes, and crucially are fed nutrients through a tight network of capillaries. 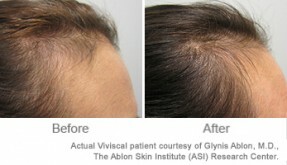 The cells created in your hair follicles grow at a remarkable rate. In a person with healthy hair, hair follicle cells divide every 24 hours, which is an integral part of the hair growth cycle. 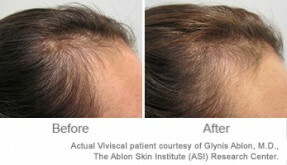 All this fervent hair follicle growth requires a ready supply of nutrients, delivered through the capillaries. These capillaries draw from the essential vitamins, minerals, and proteins that you supply your body through proper nutritional care. 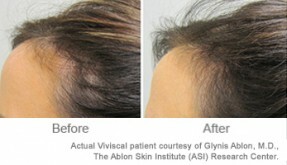 Hair follicle growth is often closely associated with the anagen phase of the natural hair growth cycle. This is the stage of the hair growth cycle in which the hair physically lengthens and grows. If you want to grow healthier hair and create the best possible environment for hair growth, take nutritional supplements like Viviscal Extra Strength for women or Viviscal Man. These simple and drug free solutions are clinically researched to promote hair growth by providing your body with crucial vitamins, minerals and a unique marine complex called AminoMar®. By choosing a supplement especially for hair care, you can rest assured that your body has the nutrients it needs to help make your hair healthy and strong, without having to change your existing diet. You could also support nutritional measures by using a gentle shampoo and moisturizing conditioner that help to cleanse and condition thinning hair, gently exfoliating the scalp and keeping hair moisturized. They help to protect against brittleness and your hair’s susceptibility to breakage, creating the ideal scalp environment for healthy hair growth. All in all, your hair follicles are little wonders of nature, working furiously to grow new and existing hair at mind-boggling rates. The simplest thing that you can do to help ensure the process of hair follicle growth is unperturbed is take care of your nutrition, making sure that you are supplying all that your hair follicles need to grow healthily.